Wrongful Death | New York | Law Offices of Louis Grandelli, P.C. For over 24 years we have been helping those with wrongful death cases in New York. See how we can help you below. There is no greater pain than the loss of a loved one. That grief is compounded when the loss could have been prevented had someone not been careless. We know how hard it is to consider taking legal action soon after suffering such a difficult loss, but it is important that you begin working as soon as possible to protect your ability to hold the person responsible for your loved one’s death accountable for the harm your family has suffered. We focus on taking the weight of legal action off your shoulders. We know that you have enough to contend with and we do everything we can to build the strongest case for you while respecting your needs. Over the more than 24 years we have been helping families that lost loved ones, we have been able to build a record of multimillion-dollar awards for them. Our experience and skill can help us secure maximum compensation for you and your loved ones. 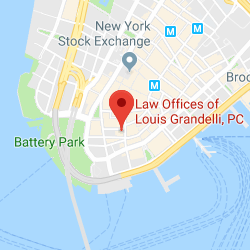 At The Law Offices of Louis Grandelli, P.C., our firm delivers skilled legal representation that can effectively pursue the accountability and compensation your loved one’s death calls for. For decades, we have been working to help the families and other loved ones of victims of fatal accidents. Our firm has been recognized for the high-quality results we have produced. 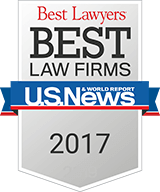 We were named by Best Lawyers as Best Law Firms – Personal Injury Litigation – Plaintiffs for the past two years. 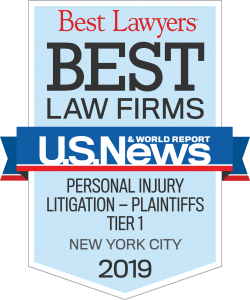 Our firm was one of only 19 law firms in the New York City metropolitan area to earn that recognition. Attorney Louis Grandelli has been named in Best Lawyers in America for the past three years and in Super Lawyers every since 2010. After losing a loved one, you deserve to work with a law firm that will provide you with effective and compassionate representation. 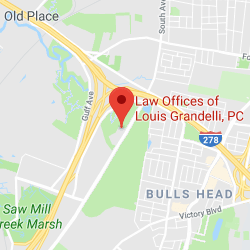 Turn to The Law Offices of Louis Grandelli, P.C. To schedule a free initial consultation, call 212-668-8400 (Manhattan Office) or 718-477-1919 (Staten Island Office) or contact us online. We collect attorney’s fees only if we secure compensation for you.